Our general dentistry in Timonium focuses on helping patients avoid dental health problems and maintain their excellent level of oral health and wellness. Each general dentistry treatment is designed to play a role in preventative care and improving your smile. Professional Teeth Cleaning | We recommend that patients come into our Timonium area office for a professional teeth cleaning every six months. 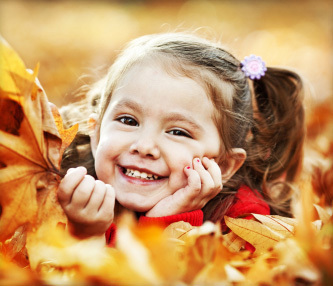 Our teeth cleanings play a vital role in preventative care and keep smiles fresh and healthy. You’ll love the way your teeth feel after one session with your dental hygienist. Digital X-rays and Checkups | Digital x-rays and regular checkups allow us to determine if you’re experiencing any dental problems, and allow patients to enjoy the benefits of preventative care. Our digital x-rays allow us to show our patients exactly what is going on with their teeth and the steps they can take to prevent dental problems. Fillings | Our fillings are tooth colored and look completely natural. With fillings from Dr. Haywood, he can help patients prevent themselves from developing more cavities or other dental issues. Oral Cancer Screening | Oral cancer is a serious and life threatening disease. The earlier oral cancer is detected the sooner it can be treated and the more likely the patient is to recover. At our Timonium practice near Towson, we recommend that patients come into our office once every six months to be screened. Tooth Extraction | At our practice, tooth extractions are rarely necessary, but when a tooth must come out, we want to show each patient kindness and understanding. If you or a loved one is suffering from a tooth loss, we will do everything we can to help you relax and accommodate you. Gum Disease Treatment | Our gum disease treatment will keep your smile healthy and get rid of harmful bacteria and other problems. Look into gum disease treatment today. To schedule an appointment, call us at our office today! We work with patients from all over the Timonium area, from Towson to Pikesville!